In our room at the Dickinson, North Dakota Holiday Inn Express we found this treat on the nightstand. so we would like to make things better if we might. 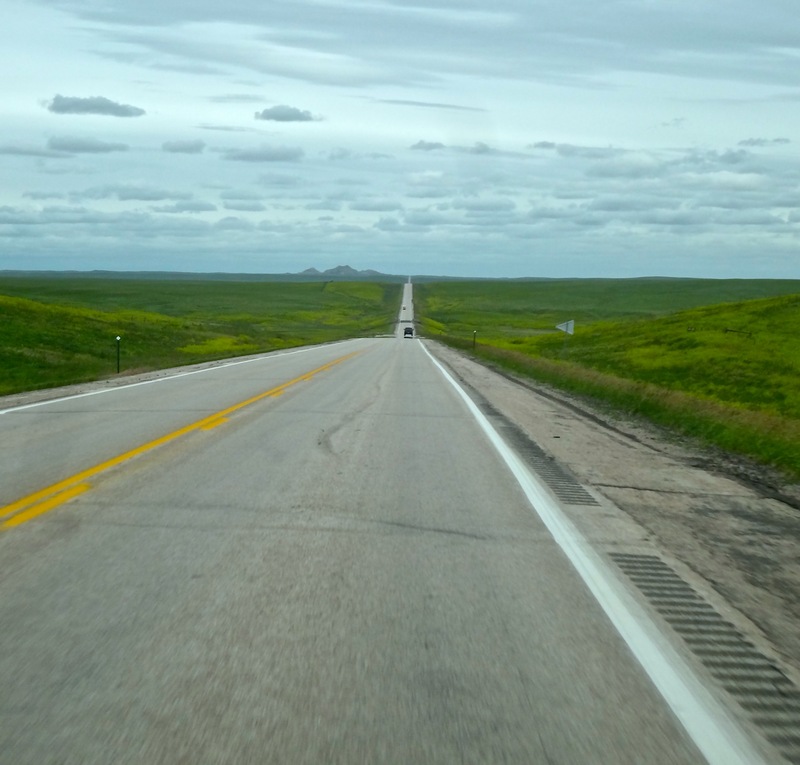 The goal for today was a 400+-mile drive north from Torrington, Wyoming to Dickinson, North Dakota – mostly miles and miles of wide open spaces. Heading north from Torrington, Wyoming on US85 I couldn’t help but remember that there was a time when I would have traveled through this country complaining that it was desolate and boring. 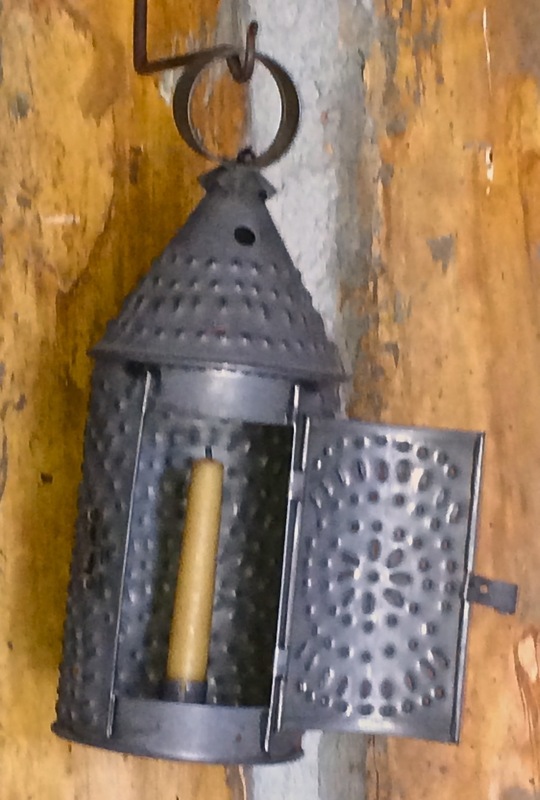 Perhaps it is living in the West for more than 50 years, keener observation skills or enhanced appreciation but today I find something of interest or intrigue in every mile traveled. The Southeastern Wyoming landscape is dotted with tiny clusters of ranch buildings – some active, some weathered with only wind-blown memories. What hardships did the first settlers endure? Or even earlier, how did the land appear when tall, native grasses waved across the prairie disturbed only by thundering herds of buffalo. Sunflowers wave from the shoulder of the highway as we pass. We crossed the dry bed of Raw Hide Creek more than half-a-dozen times. Our eyes follow it’s course marked by tall aged cottonwoods and edged in flowing, narrow ribbons of green grasses along its banks. At some crossings we note evidence of previous flash floods. Today, I love driving through the land where the deer and the antelope play. North of Newcastle the route winds into the western edge of the Black Hills. We see signs for Calamity Gulch, Devil’s Bathtub, Cleopatra Place – what’s the history behind these names? Not long after crossing into South Dakota we enter scenic Spearfish Canyon, a narrow split in the rocky walls bordering Spearfish Creek. The pullout at Bridal Veil Falls is probably the most popular stop along the Scenic Byway. We leave US85 at Belle Fource to spend the afternoon following state highways to Dickinson. Although sparsely populated there are always signs of man’s habitation: a rusted windmill, a rutted dirt lane, fenced pasture land, a complex of ranch buildings on yonder hill. Except for a slim strip of Custer National Forest, trees are almost non-existant. We wonder how far ranch children have to travel to a school. What must the early settlers have thought of these wide open plains? 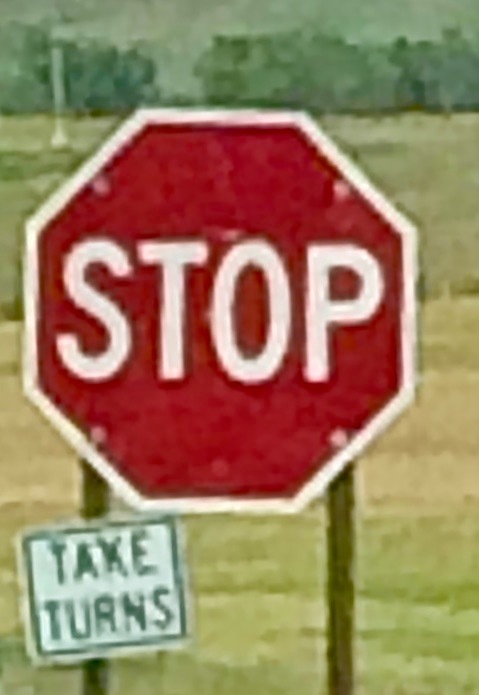 When the road narrows for bridge repair we’re amused that instead of a flagman or temporary light signal there’s simply a sign saying, “Take Turns.” Rarely an issue in these wide open spaces. Led by Meriwether Lewis and William Clark the Corps of Discovery traveled up the Missouri River from St. Louis for nearly six months. Realizing they needed a place to spend the approaching winter they stopped along the river near present day Washburn, North Dakota. 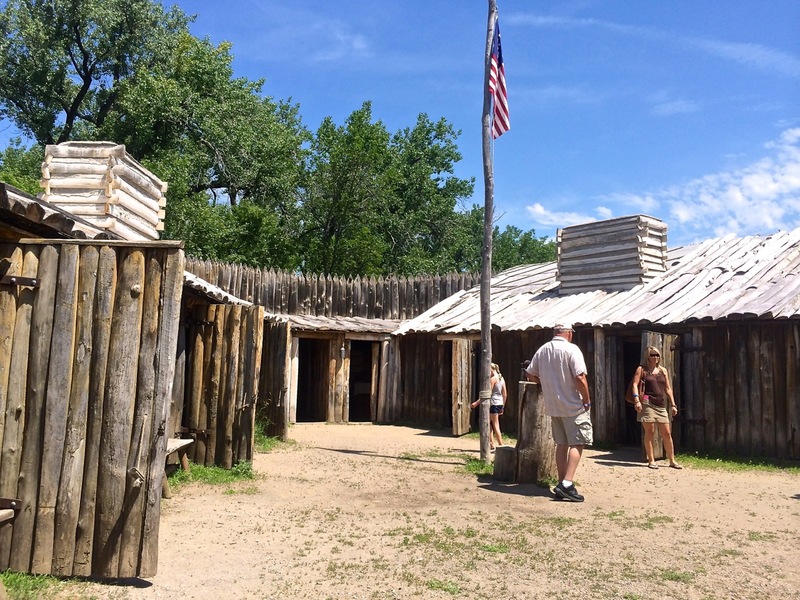 Groves of cottonwoods provided the wood needed for constructing the triangular fort. Bunk rooms, store rooms and work rooms face inward with 16-foot picket exterior. In just three weeks Corps members were moving into the primitive structure, hurrying to finish the roofs before the worst weather arrived. 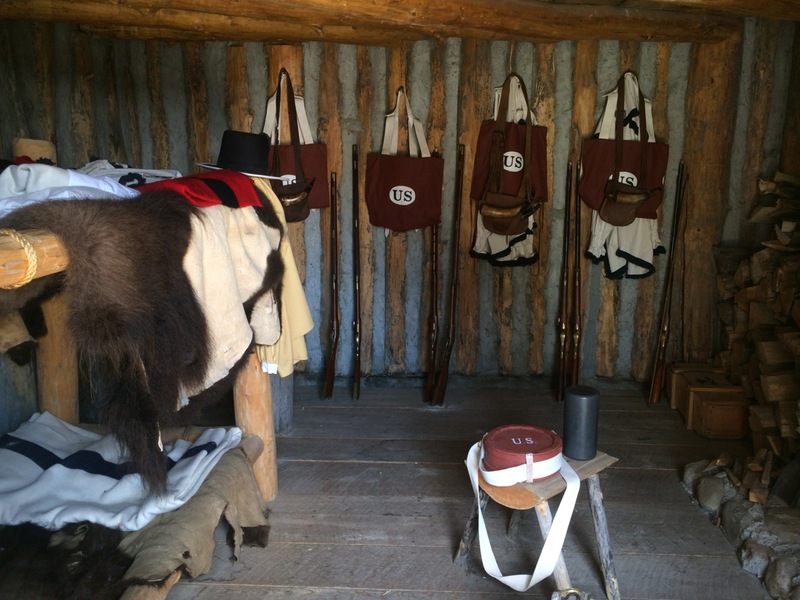 More than 40 men were to spend the harsh winter in tight quarters at Fort Mandan until early April. During those months the men hunted bison, established relationships with native tribes, and prepared for the journey westward towards the Rocky Mountains. Trading goods for food with the Mandan Indians living nearby was essential to winter survival. 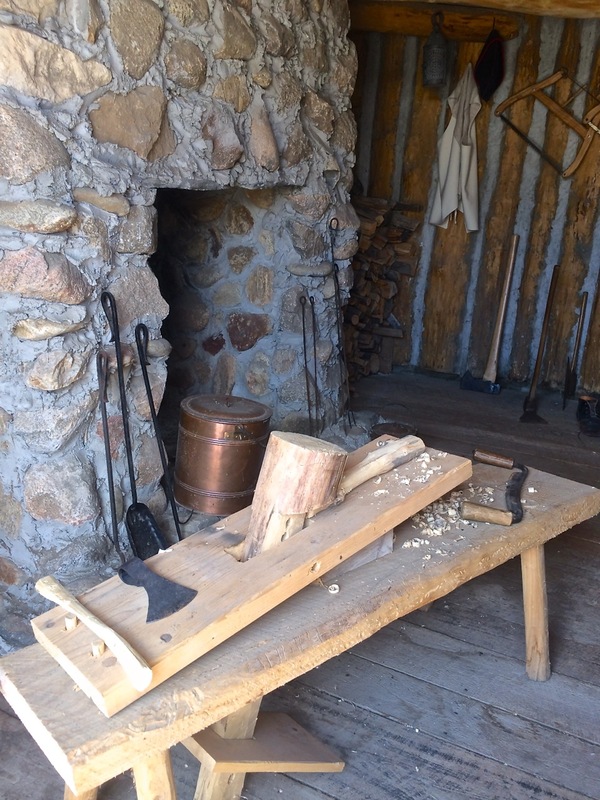 In late February men were assigned the task of carving four dugout canoes; they finished in 22 days. Lewis and Clark compiled their observations, notes and specimens to be sent back to President Jefferson in the spring. It was here that Lewis and Clark hired fur-trapper Toussaint Charbonneau. 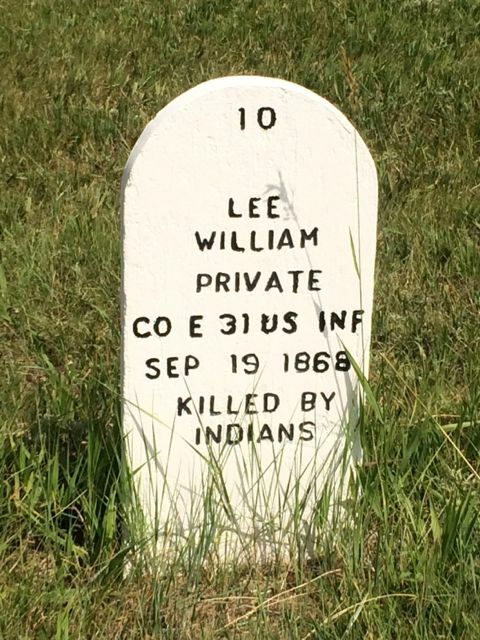 When the Corps of Discovery left Fort Mandan in April 1805 Charbonneau, his wife Sacagawea and infant son Jean Baptiste served as interpreters and guides. When the Corps returned on their homeward journey in 1806 they found that the fort had burnt to the ground. The Missouri River has changed course over two centuries, it is believed the original site of the fort is now underwater. 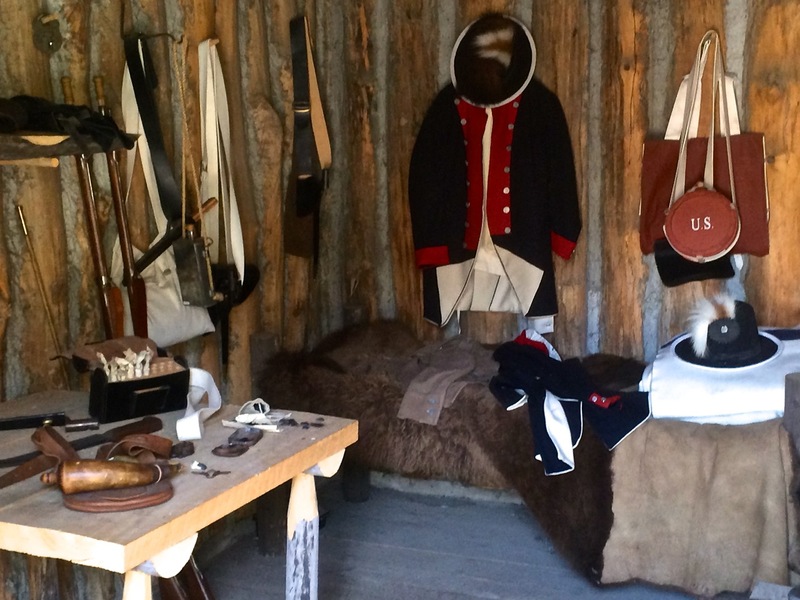 Nearby a replica fort has been constructed, furnished much as it would have been during the 1804-05 winter. Interpreters give guided tours; during our visit our guide was very knowledgable, bringing time at the fort come to life with fascinating details. 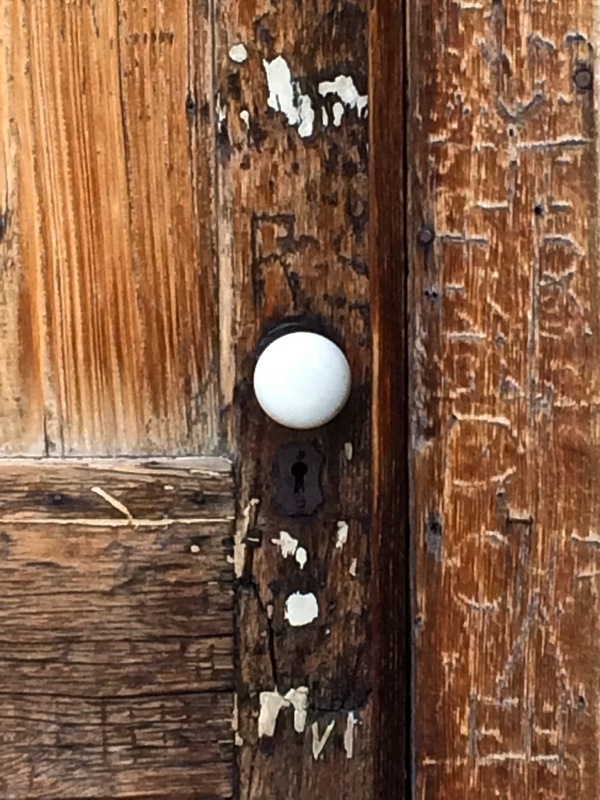 He noted that several of the doors are hung incorrectly – they swing outward which would have made it impossible to open after the heavy snowfalls. 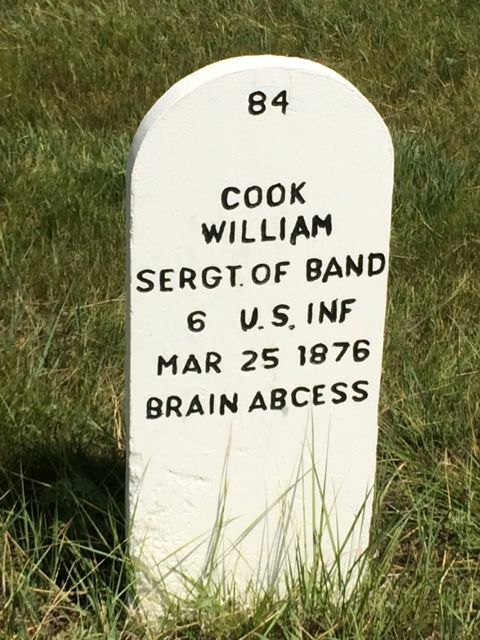 As today’s temperature hovered near 100 degrees it stretched our imagination to feel the -45 degrees the Corps suffered. Many of the men experienced frostbite but all survived. 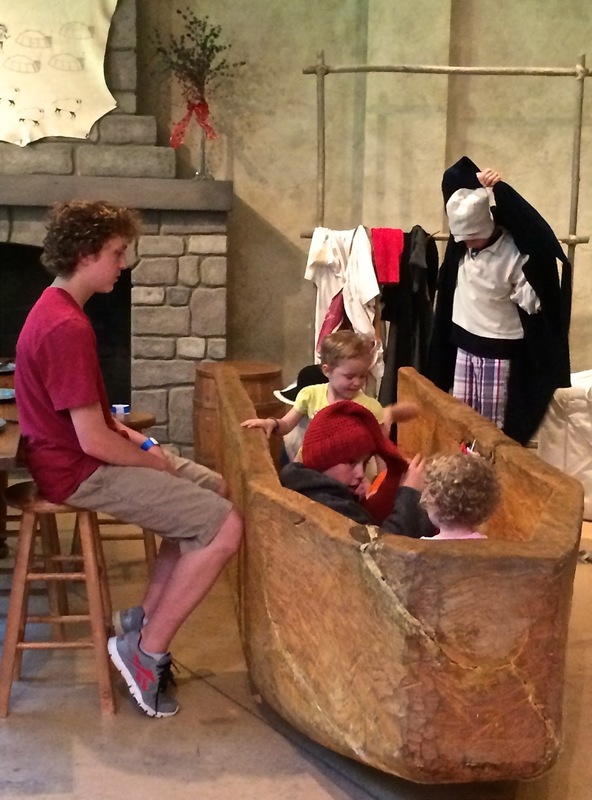 A large hands-on activity area in the visitor center attracts youngsters to try on outfits, don hats and climb into a replica dugout canoe. When You Go: Lewis & Clark Fort Mandan Foundation, Washburn, North Dakota (38 miles north of Bismarck), 877-462-8535, www.fortmandan.com. The Scandinavian Heritage Center celebrates the heritage and culture of five Scandinavian countries – Denmark, Finland, Iceland, Norway and Sweden. 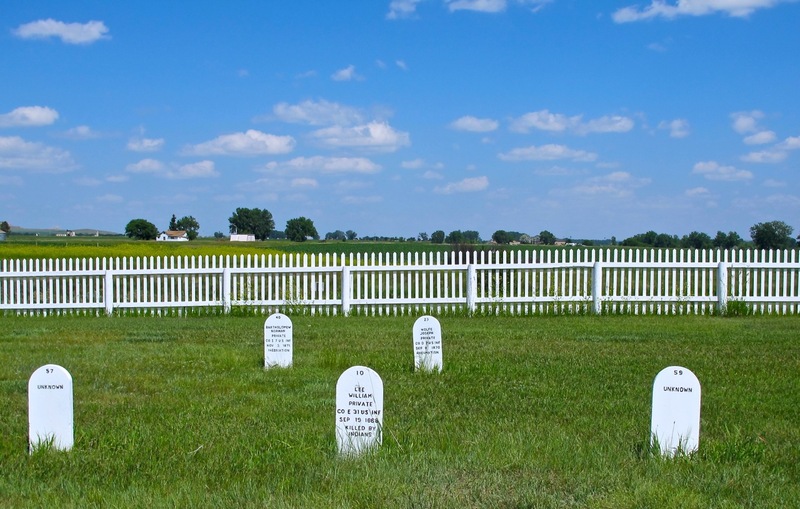 Located in a peaceful park setting next to the Minot Visitor Center, the site honors immigrant ancestors who settled in the area. 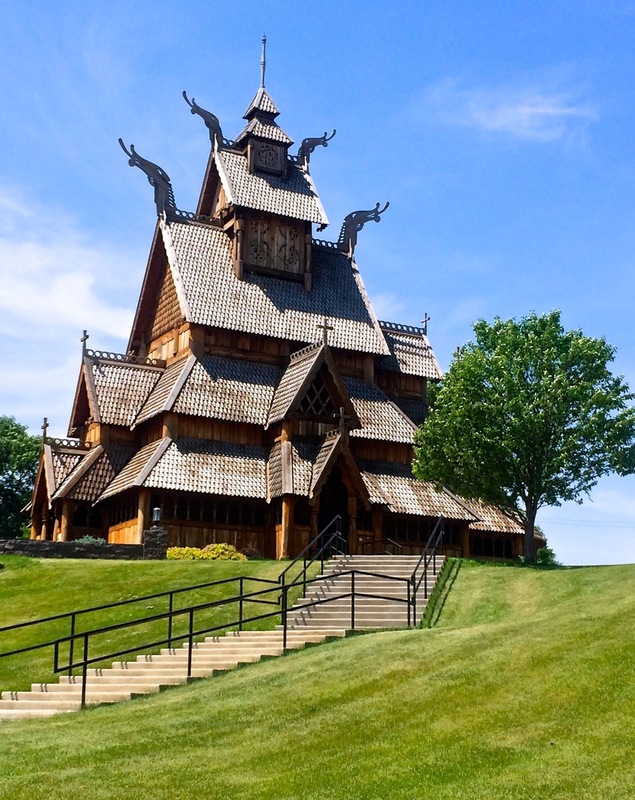 The centerpiece is a full-sized replica of the Gol Stave Church built in the early thirteenth century and now located at the Norwegian Cultural Heritage Site in Oslo, Norway. 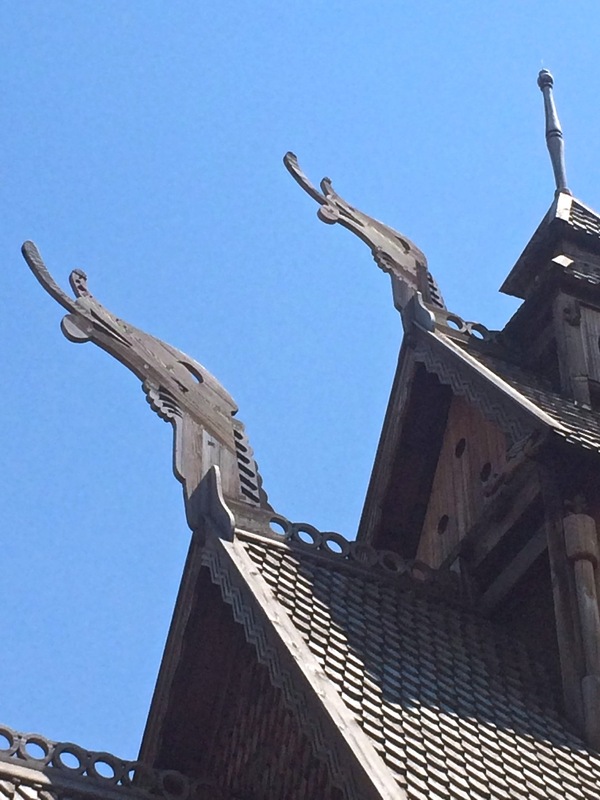 The intricate construction reflects rich symbolism traditional to Norwegian stave churches. Unfortunately the church was not open when we visited but we met a young local couple who were married in the church four years ago. They return each year on their anniversary for photographs. 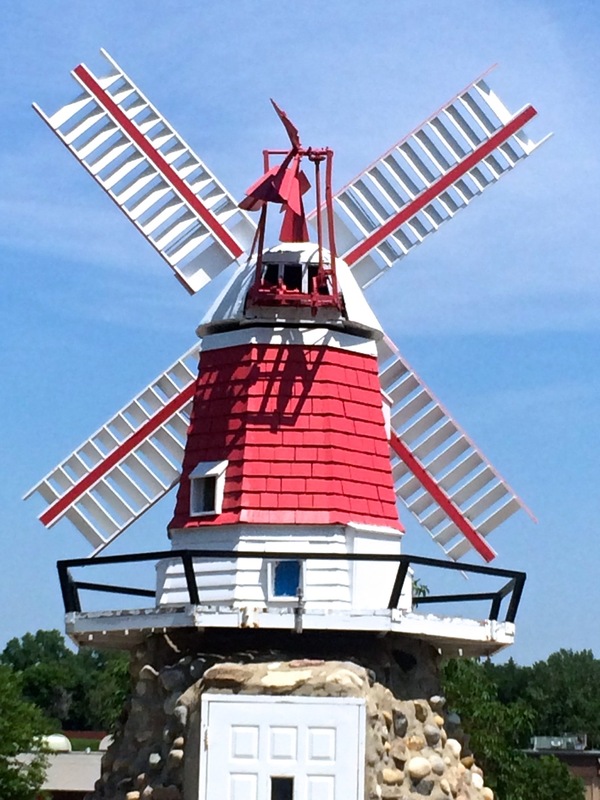 Other structures in the park include a Danish windmill, a grass-roofed stabbur (storehouse), a colorful, 30-foot tall Swedish Dala horse, and a 230-year-old log house from Sigdal, Norway. 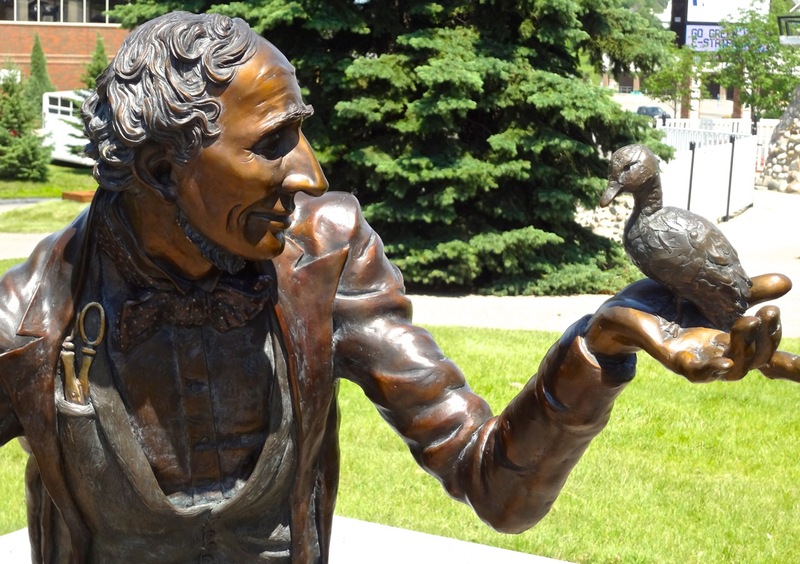 Sculptures represent a famed ski jumper, a Norwegian skier, Leif Eirikssen and Danish author Hans Christian Andersen. A walkway winds through the neatly landscaped grounds, and pass a pond, waterfall, Plaza Scandinavia (granite map) and Eternal Flame. 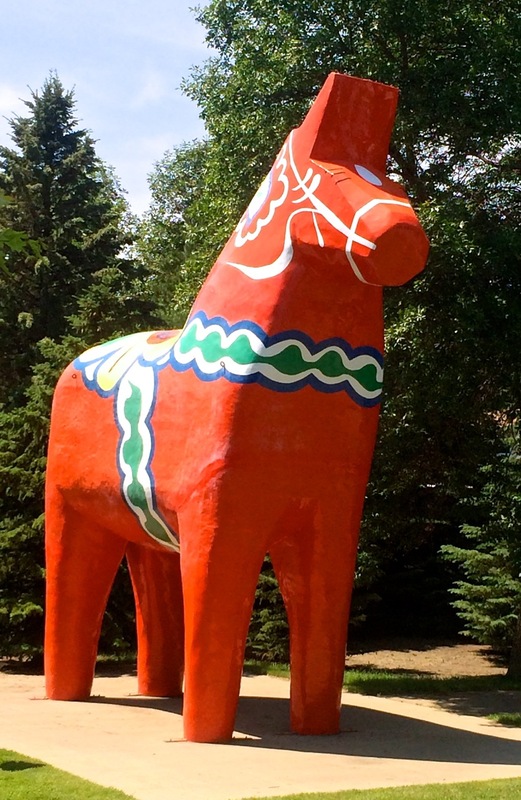 When You Go: Scandinavian Heritage Center, 1020 S. Broadway, Minot ND, 701-852-9161, http://scandinavianheritage.org. Last night after dinner we meandered around Dickinson to get a feel for the tidy town in the midst of the Bakken oil boom. Outside the Ukrainian Cultural Institute I noticed a sign offering fresh Cheese Buttons on Wednesdays. What are Cheese Buttons? We guessed, maybe something to do with cheese curds. Later while reading local brochures I saw another reference to Cheese Buttons. My curiosity clicked into gear. This morning while at the Dickinson Visitors Center I inquired about Cheese buttons, only to find out they are what we know as pierogi. Still curious and since it was Wednesday, we made a stop at the UCI to purchase Cheese Buttonns before leaving town. After sampling, I chose those filled with sauerkraut over the potato or cottage cheese, $6/dozen. Now we know, they have nothing to do with cheese curds and indeed sometimes no cheese at all is involved. We’ve been enlightened and have partaken of the local speciality – Cheese Buttons. If you’re ever in Dickinson on a Wednesday stop at the Ukrainian Cultural Institute and try them for yourself. Appropriately Theodore Roosevelt’s first North Dakota cabin rests beneath cottonwoods in the National Park bearing his name. Roosevelt first came to the region in 1883 to bag a bison; before returning to New York he acquired interests in the Maltese Cross Ranch on the banks of the Little Missouri River. 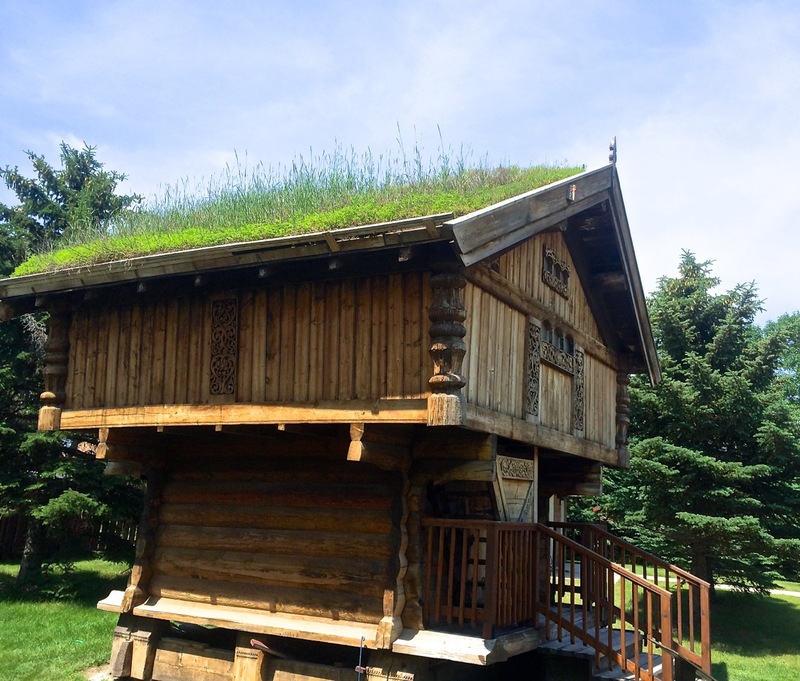 Two ranch managers were hired and instructed to build a cabin. 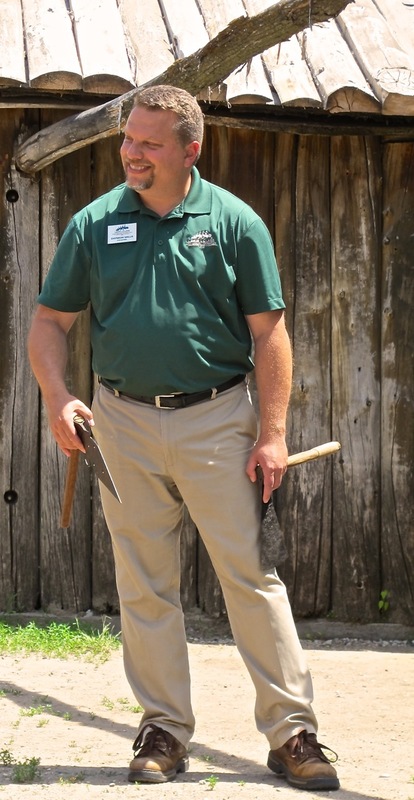 Our park guide relates that the cabin initially was a single room with a dirt floor. 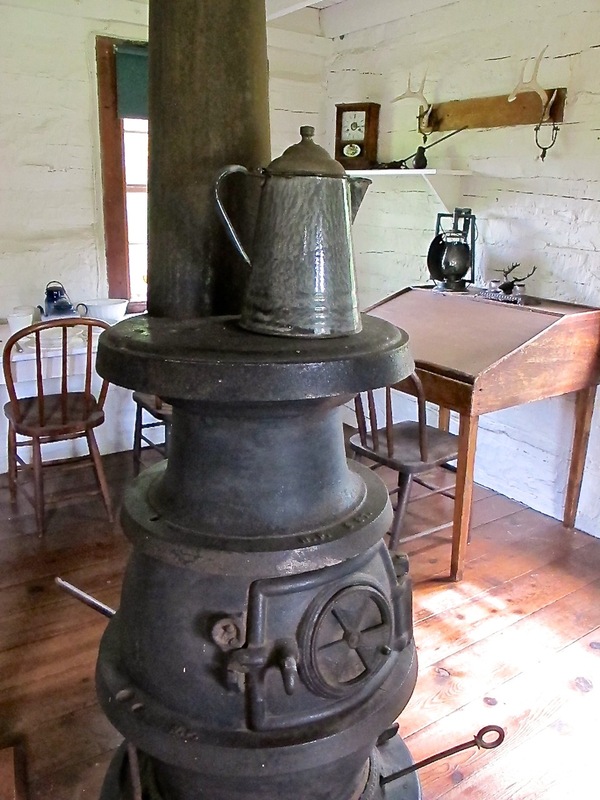 By the following summer three separate rooms were finished with wood floors, an additional 1/2 story provided a sleeping loft for the ranch hands, root cellar and shingled roof. Locals considered the enhanced construction as nearly a mansion. 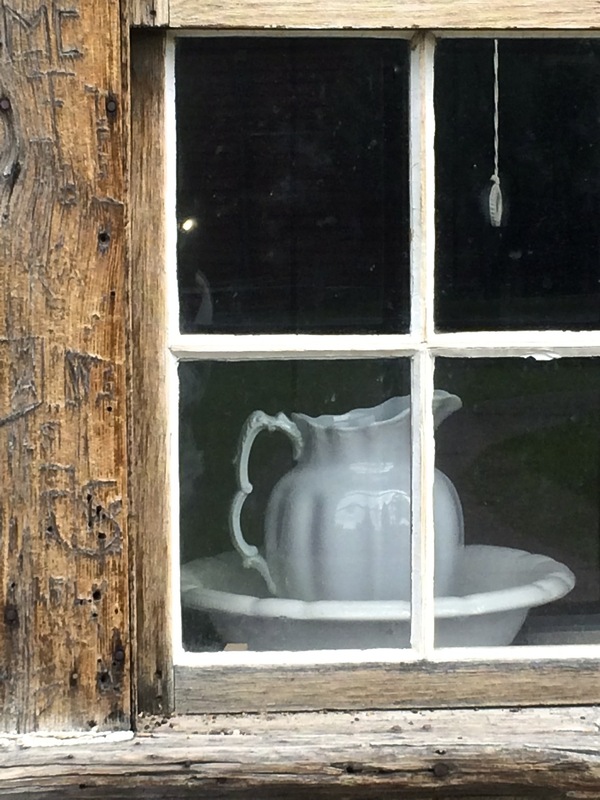 The cabin has quite a traveling history of it’s own. During Roosevelt’s presidency it was exhibited at the World’s Fair in St. Louis and at the Lewis and Clark Centennial Exposition in Portland, Oregon. 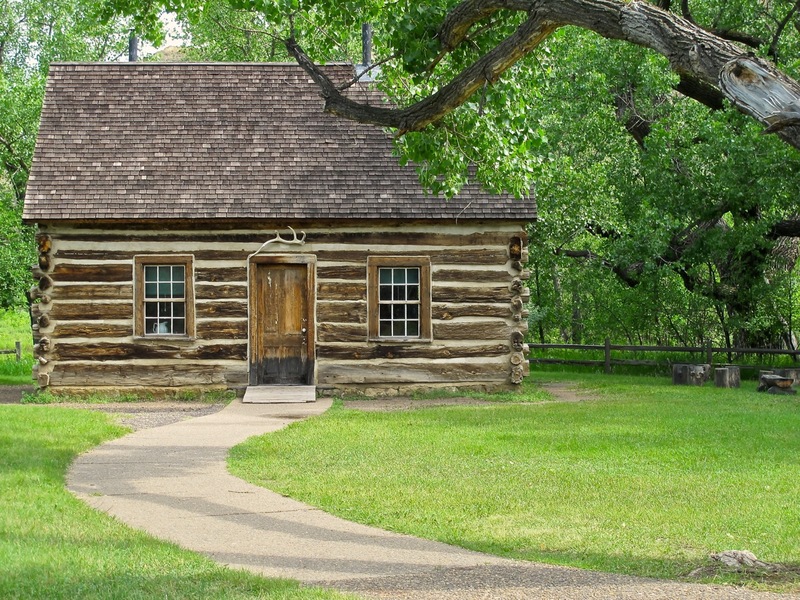 The state fair grounds in Fargo and the state capitol grounds in Bismarck also hosted the Maltese Cross Cabin. In 1959 it was loaded onto a flatbed truck for a trip to Medora and the Theodore Roosevelt National Park just seven miles from its original location. When You Go: The Maltese Cross Cabin is located near the Visitor’s Center of the South Unit of Theodore Roosevelt National Park, Medora, North Dakota. 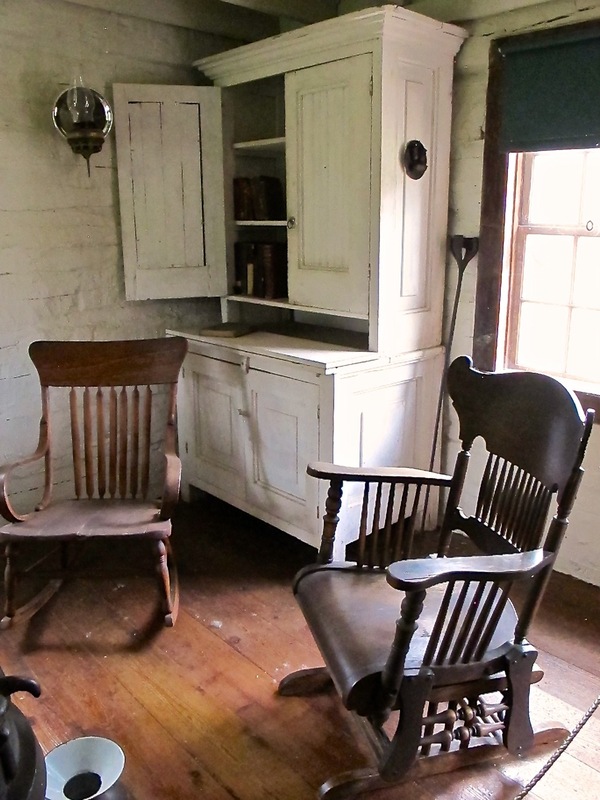 Ranger guided tours of the cabin given daily during the summer. More information at http://www.nps.gov/thro/index.htm.